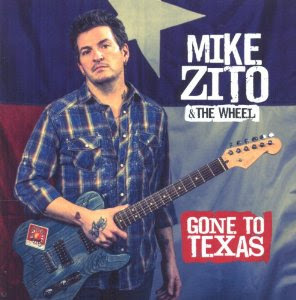 I just received the newest release, Gone To Texas from Mike Zito and the Wheel and I really think it's cool. From the first note, literally, Zito has my attention. I'm a guitar player of sorts and the tone that Zito has coming right out of the box is ground zero for a guy like me. 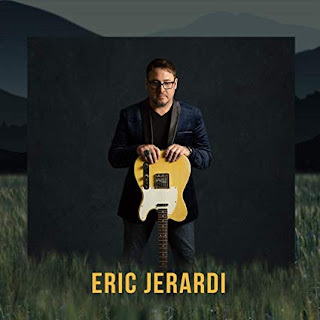 The recording showcases noted guests such as Delbert McClinton on vocal and harp, Sonny Landreth on guitar, Susan Cowsill on vocal and Lewis Stephens on keys as well as his own band featuring Jimmy Carpenter on sax and guitar, Rob lee on drums and Scot Sutherland on bass. Opening with the title track, Gone To Texas, Zito puts up a good entry for the airplay track for the release. 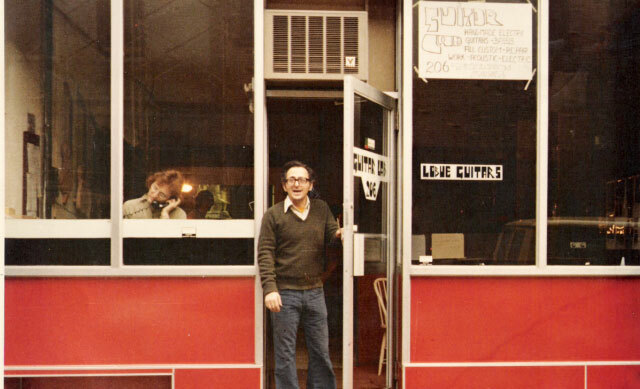 It has an authentic country feel with nice sax work by Carpenter. Rainbow Bridge is a really nice track with lead slide work New Orleans style. lee directs the rhythm reinforcing the back beat and Susan Cowsill adds nice harmonic vocals to Zito's lead. Landreth lays down some nice riffs on this track being one of my favorites on the release. I Never Knew A Hurricane is a solid country style ballad with solid sax work from Carpenter. Don't Think Cause You're Pretty has a cool over driven guitar tone and and a strong rock beat. Guitar work on this track is reall hot and very tasty and Zito's vocals are really right on spot. Another great track. Death Row has a really rural country blues feel with acoustic slide work and basic bass stomp for drums. Don't Break A Leg gets a funk groove on and guitar and sax trade turns popping the punctuation. Extremely thoughtful composition. Stephens puts up some nice key work on this track and Zito steps out a bit with his guitar. This track is a really nice contrast to earlier more subdued tracks. 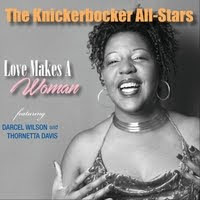 Take It Easy is a bluesy R&B style track really featuring fince vocals by Zito and a sweet sax solo from Carpenter. Gospel like pacing underneath accentuated by Stephens makes this another really strong contribution. The Road Never Ends is structured along the lines of an Elmore James track and of course features some really fat slide work. This track is a cooker and one not to miss. Subtraction Blues again visits the Bayou with a strong NO beat. I really like the way Zito has blended guitar, piano, horns and bass a lot like you may typically find in a dixieland band. This is great thinking and with super results. On Hell On Me again the track opens with some deep growly guitar tone and it really sets a nice stage for Zito's strong vocals and rocking blues track. The addition of each soloist (guitar and sax) is done with such texture that it's like listening to a fine painting. Voices In Dallas again start with really nice guitar tones. I don't know exactly what Zito is using, possibly just an over driven Vibrolux but it sounds really great. Lightly applied higher fretboard being added over the top of the basic melody really is a nice accent making the track all the more interesting. Zito closes the release with a Blind Willie Johnson track, Let Your love Shine On Me. This is basically acoustic guitar and Zito on vocals. This is a really nice cover and a fitting conclusion to an extremely strong release. This is one that you should check out.